Attention: Please be aware that your eBook activation will be available within 24 business hours of your purchase of this product. You will receive a confirmation via email. * Used eBooks do not include the ORM or other bonus gifts. 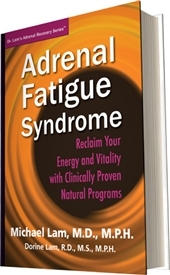 This is the most comprehensive reference guide on Adrenal Fatigue Syndrome. This reference guide has 33 chapters, is over 500 pages and is in an easy-to-read 10” x 7” format. 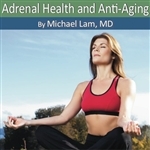 After reading this eBook, you will understand the problem, be ready to embrace the solution, and initiate your way to reclaiming your vitality. Or, save when you buy the eBook and printed book together! Follow these simple instructions to read our eBooks on your device. Laptop or desktop computer — Laptop or desktop computer - Download the Calibre eReader here. iPad, iPhone, iPod touch — Download iBooks or your favorite ePub reader from the Apple App Store and use it to open the ePub file. Android — Download Kobo or your favorite ePub reader from Google Play and use it to read the ePub file. Windows Phone 7 — Download Bookviser or your favorite ePub reader from the Windows Marketplace. Kindle — Download the Calibre eReader here. Use it to covert the ePub file to mobi and then email the mobi file to your kindle device or transfer it via USB. † returns on ebook purchases will not be accepted if your PIN has been redeemed.